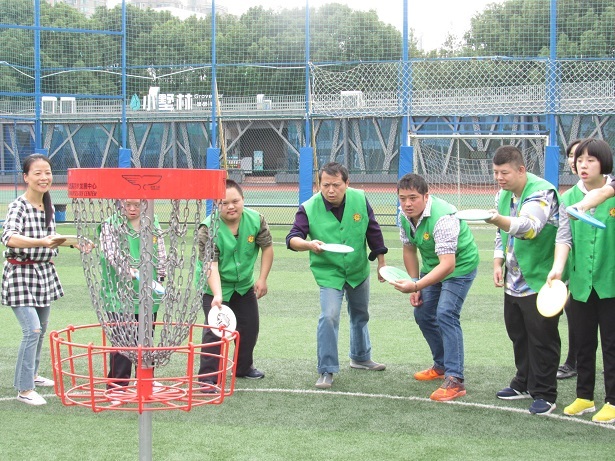 China ambassadors teach challenged adults how to throw. 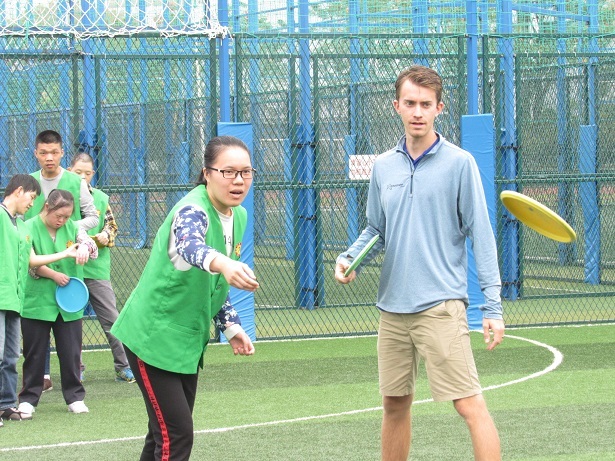 Thursday morning Team Prodigy members Will Schusterick and Dave Greenwell had the privilege of introducing disc golf to some truly beautiful people in Ningpo, China, an exercise in basic skills transfer that they will cherish as one of the highlights of their long careers in disc golf. 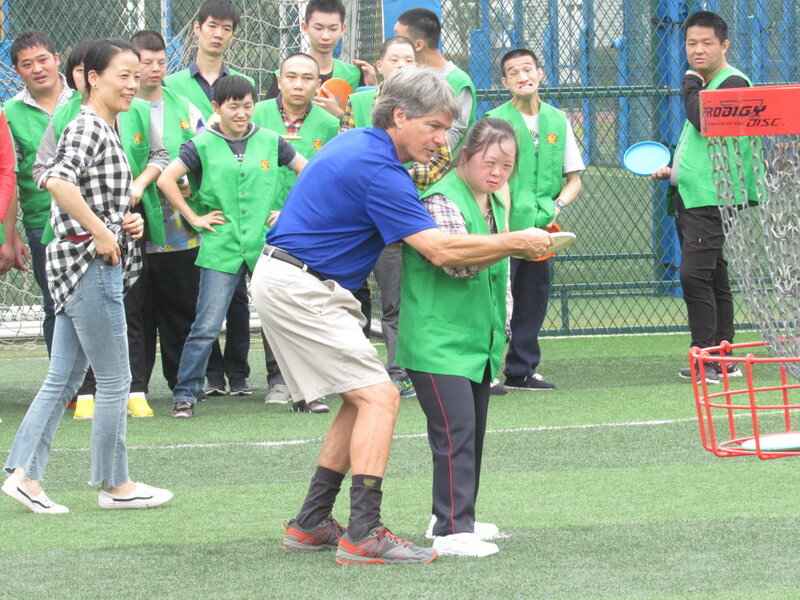 The members of Zhongxin Yangguang Yizhan group were born with an extra chromosome, which results in such conditions as Down and Triple X syndromes. Some were more affected by their conditions than others, and each one was truly a unique and wonderful personality.